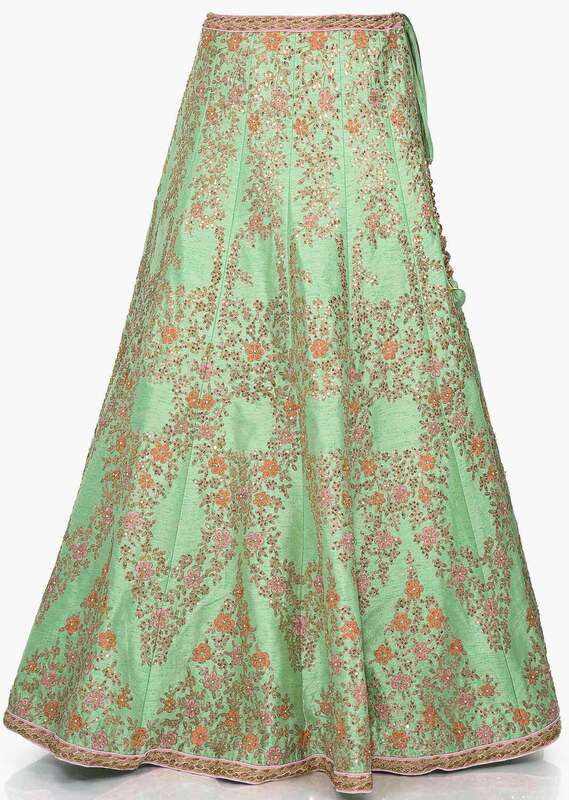 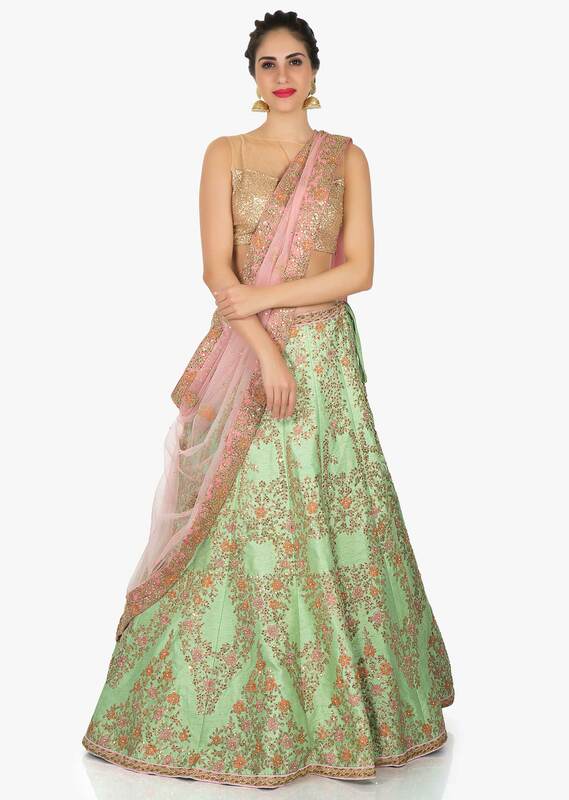 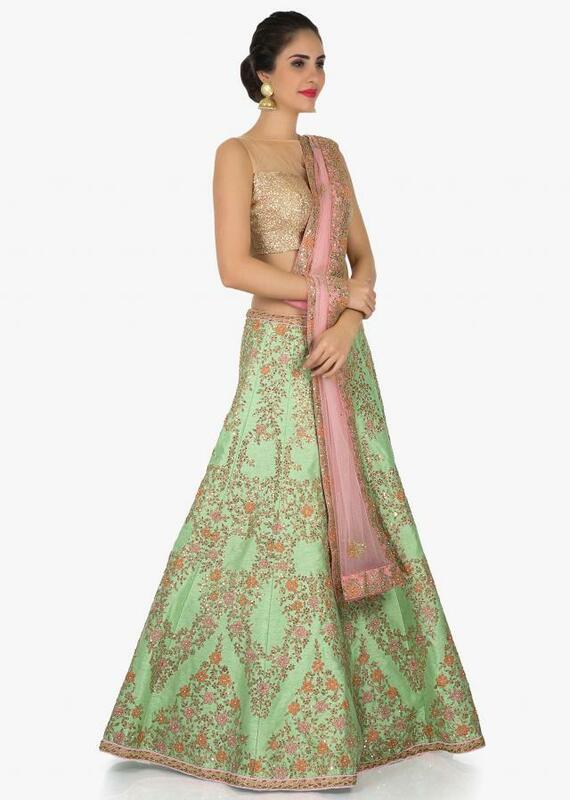 Opt for this elegant looking pista green lehenga in raw silk as fabric. 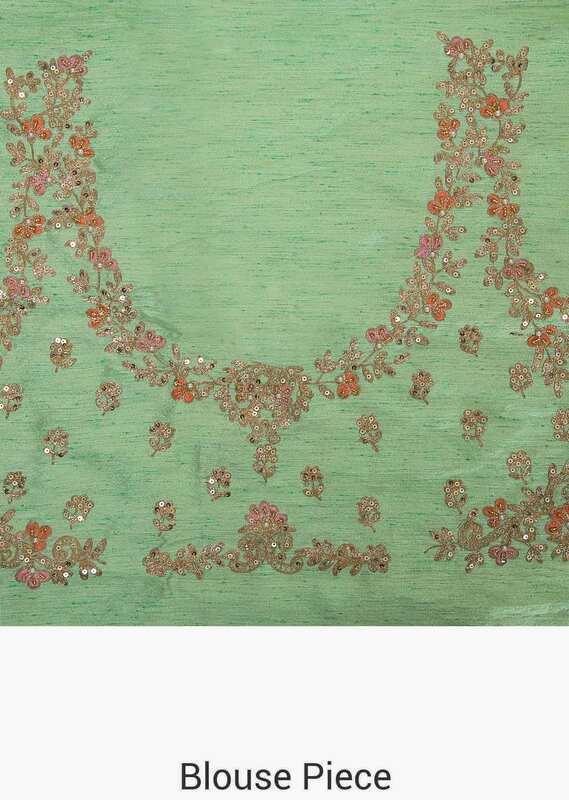 The lehenga is embellished using the resham and zari work with sequin detailing. It is matched with an unstitched blouse in raw silk. 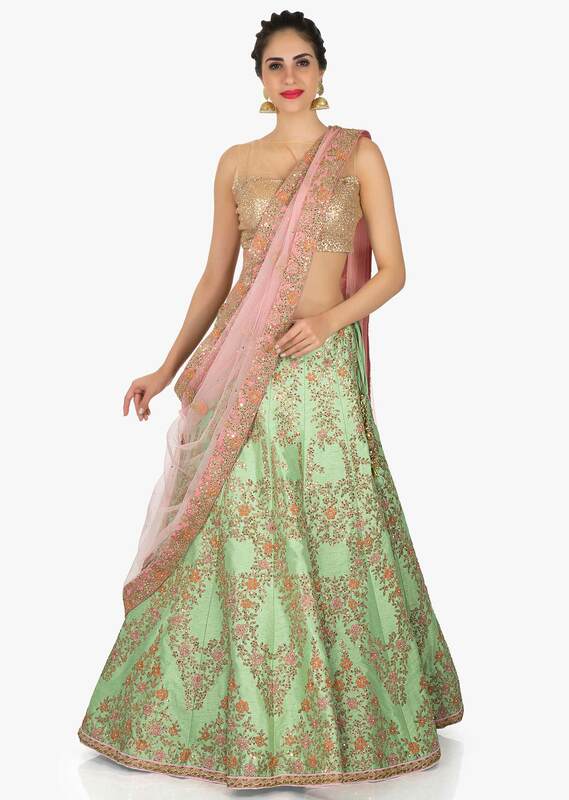 The lehenga is teamed up with a net dupatta in baby pink color.